Letter bombs (25): Chugoku or Shina? READER Avery Morrow submitted a comment related to Chinese sinocentric culturalism with a link to an academic paper titled Shina as a toponym for China. The Chinese call their nation 中国, or the country in the center (of the world), and also refer to China adjectivally as 中華, the flower in the center of the world. The standard name for the country in Japan is Chugoku, which is the Japanese reading of the characters that the Chinese use. The term Shina (支那) was originally popularized as an alternative to Chugoku 中国 because Japanese Rangaku scholars realized China was not actually the center of the world, but there are seven continents and over a hundred countries scattered around it. As arguably China’s keenest observer and, on occasion, mercurial assessor, Japan had nothing to gain or lose — toponymically speaking — from which of the various names for China would carry on and which would be swept into the dustbin. The Japanese who most often use Shina for China today are the sort of people that the self-anointed enlightened ones consider extreme right-wingers. The most well-known of these people is Ishihara Shintaro. This upsets the Chinese, because it means that the upstart inferiors of Little Japan do not render them the proper deference due the flower in the center of creation. Everyone, however, still refers to the East China Sea as the Higashi Shina Kai, and no one gets upset about that. It is a mistake for Ishihara Shintaro to call China Shina. China should also not call Japan “Little Japan”. * That government official doesn’t seem to know that the use of the word Japan itself constitutes denigration. Big or little has nothing to do with it. * How about if we use Little Japan Guizi? * Let’s use Japanese devils. * What’s the difference between Little Japan and Japan? * What difference does it make? They’re just one of our provinces anyway. No, Mr. Hosono is not ready for prime time, but then neither was his party. Author and critic Kure Tomofusa explained the reason for the Japanese switch from Shina to Chugoku in the 19 November 2010 edition of the weekly Shukan Post. Here it is in English. For more than 60 years after the war, Japan has associated with the country across the sea by muddling the examination of right and wrong. I write “the country across the sea”, and that country is known throughout the world as Shina or something of similar pronunciation. But only Japan and the countries on the Korean Peninsula have been compelled to call this country Chugoku. Both the government and the public have contributed to the muddling of right and wrong through this irrational control of speech. I first pointed out this irrationality during the days of the Zenkyoto student protests. I insisted that the country should be called Shina. I have not wavered from that position even after becoming a commentator, though that position has been to my detriment several times. Right is right, and wrong is wrong. Shina is derived from 秦 (Shin, or Manchu Dynasty), and it became the internationally accepted term for the country. In English it is China, and in France it is Chine, both of which are similar to the Japanese Shina. This usage was prohibited in Japan in 1946 through a notification from a deputy foreign minister. At that time, Japan was occupied by the U.S. and the other Allied powers. News reports were submitted for screening prior to publication, and the publication of printed matter was suspended. With this as a backdrop, this unusual restriction on speech was issued requiring that the country be called Chugoku. The notification also included the frightening phrase that Shina was not to be used, “with no argument”. Japan regained its sovereignty in 1952 with the peace treaty, yet both the mass media and educational institutions still use this unusual notification by a deputy minister. Have they not noticed that Chugoku was used through compulsion? Instead, many people believe in good conscience that Shina should naturally be prohibited because it is discriminatory and symbolic of the invasion. Great Britain ended its invasion of China with the return of Hong Kong in 1997. Portugal ended its invasion of China with the return of Macau two years later in 1999. Both Great Britain and Portugal use the China/Shina terms, so where is the problem? The meaning of Chugoku is “the country in the center of the world”. It is an arrogant word that denotes contempt for other countries. Shina is trying to force this on the surrounding countries that were once in its sphere of influence. The subject of discrimination is Japan. We must clearly differentiate right from wrong. Saying what should be said is the most basic of basics. The first thing I want to say is that American Kim is being reasonable without running anybody down. Therefore, what I write in the following about the South Koreans and Chinese whom I dislike does not overlap with AK precisely. There is no difference, however, when it comes to continually bringing up the past. The Japanese have experienced deadly air raids on Hiroshima, Nagasaki, and Tokyo, as well as the land battle in Okinawa, but we seldom bring that up with Americans. Even when we do, we seldom say that the Americans committed atrocities. I think that’s because it’s meaningless to endlessly raise the subject. But the foreigners who bring this up (other than Americans) dispose of that objection by saying that we are obsequious to Americans, or that the Japanese invasions were the cause of it all and we brought it on ourselves. But then most of the people who died in those attacks weren’t military personnel, either. The South Koreans and Chinese I dislike are those who give me the sense that they are saying, “You are the son or grandson of thieves,”, even though I myself did nothing. I’m about fed up with that. If they claim that’s not what they’re saying, that might be true as far as it goes. But that’s what it feels like to me. That also causes me to think those people believe themselves to be spiritually superior. It’s as if they think they naturally have the right, and are superior, because they were the “invaded” people. If it were only once or twice, I could forget about it. But this has been going on for as long as I can remember during my life, and it has continued until the present. If I myself were a thief, then I should be the one to repent. But do these people even sense that they’re saying I should repent because my father and grandfather were thieves? Does anyone sincerely say, “I’m sorry because my father and grandfather were thieves”? Quite a few Japanese seem as if they do, but then I might not be a typical Japanese person. Or it might be that the Japanese are inwardly fed up with it all without coming out and saying so. At any rate, with these experiences, it’s my honest belief that it isn’t possible to associate on an equal basis with Chinese and South Koreans to start with. Therefore, I’m living my life by not unreasonably trying to do something that’s not within reason. I should probably remain satisfied with small things, to the extent that mutual understanding is possible. It isn’t possible to ask for a lot. But that might be how it is for interaction with people from foreign countries, to a greater or lesser degree. To extend that, the differences between people of the same country are essentially not as large. My opinion: 2 says “my father and grandfather”, but the reality of it is “my grandfather and great-grandfather’s generation”. It is also the reality that the bad faith of the Chinese and South Koreans — and the juvenile petulance of the South Koreans in particular as expressed by their new Time Square billboard — have completely turned off generations of Japanese who weren’t alive when the events that are the subject of the grievances occurred, and continually brought up by people who weren’t alive at the time either. The responsibility for any ill will in 21st century Northeast Asia lies with them. The core members of the group are Japanese, I think. I like this version better than the original. READERS e-mailed links to two articles, both of which are Japan-related and are based on the theme of inspiration and ingenuity. A pair of twins has invented a timesaving device for housewives in rain-prone areas as well as people on the road — a portable electric “fan hanger” that can dry wet clothes efficiently, rain or shine. Drawing inspiration from a fictional device in the Japanese manga series Doraemon — the title character’s bamboo propeller — Tsai Kai-yu (蔡凱宇) and Tsai Kai-fan (蔡凱帆), both students in creative product design at Far East University in Greater Tainan, came up with the innovation by integrating fan blades with a clothes hanger. For those not hip to Japanese manga, Doraemon is a robotic cat sent by a boy in the 22nd century to help his great-grandfather, still a boy in the present, prevent future disasters that befall the family. It began as a print comic in 1969 and became a series that eventually reached 45 books by 1996. 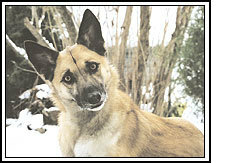 Two television versions have been created; the first for a single season, and the second for a program that ran for 1,787 episodes from 1979 to 2005. It is as well-known in Japan as Peanuts is in the United States, and it is almost as popular throughout East Asia. Tsai Kai-fan said the senior students often expressed grievances about how they had to wash and air-dry their clothes in hotel rooms because of event requirements, but still had half damp outfits by checkout time the next morning. “Then we reached an epiphany after seeing Doraemon’s bamboo propeller, and started to experiment with the device, which can speed up the drying time of wet clothes and is powered either by batteries or electricity,” the pair said. Experimentation showed that their brainchild could save about two-thirds of the time needed to air-dry clothes, compared with the natural drying method, and is effective regardless of weather conditions, they said. The pair’s invention has been flown to the US for the 2012 Invention and New Product Exposition, the US’ largest invention show, on behalf of the their university. Chen Yu-kang (陳玉崗), a professor in the school’s department of innovative design and entrepreneurship management, said that if the electric fan hanger could be mass-produced, its production costs could be greatly reduced. “Then, with a price tag of about NT$299, the product would stand a big chance of becoming a hit in the market, as well as creating substantial business opportunities,” Chen said. That’s not as expensive as it sounds — In American dollars it’s the equivalent of a sawbuck. The Japanese architects insisted on a level of detail and near-perfection that frequently perplexed and frustrated their American counterparts. (N)ot all of their many subtle touches were purely in the interest of aesthetic clarity. If you like the bamboo copter idea but don’t need a portable clothes dryer, you can always get the toy. PICKING and shoveling through a mountain of translation work, which is the reason for the slack activity this week, but reader Toadold sent in a link to a bar graph that is worth a wider look. 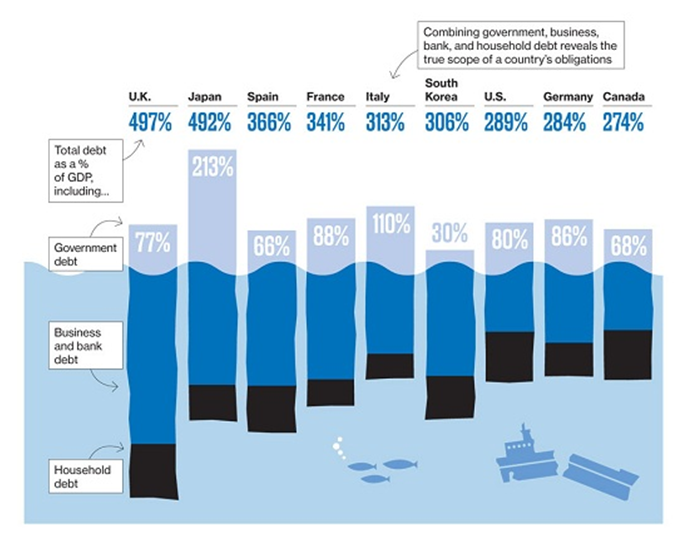 It shows the relative percentages for government debt, business debt, and household debt in several advanced industrialized countries, including Japan. The ratio of government debt to overall national debt in Japan, as well as the comparison with that of other countries, is most instructive. I am convinced that the “no common ownership-privatise everything-let the market decide” crowd are as nutty, and would be as damaging, as Stalin at the other end … and certainly achieve less than the Stalins in the long run. In truth I don’t know much about Japanese politics but am interested to learn. I have come to think of it as a kind of “Brand Bag Stalinism” … as in a Stalinistic total state control but with a shallow veneer of choice and comfort provided by permitted access to high-end consumerism in order to keep the people satiated enough not to complain about the distaste of the shafting. So ironic that Japan voters, who support Kan’s nuclear phaseout, wallop him w/ low approval ratings, paving way for pro-nuke successor.. Apparently Ms. Tabuchi has too much irony in her diet. Knowing those facts, most people would draw the conclusion that seeing the last of Mr. Kan is a much higher priority for the Japanese public than phasing out nuclear power. A reporter in Japan who paid attention to events in Japan — i.e., did his job — would remember that Mr. Kan’s ratings were already redlining in February, when talk of a no-confidence motion began circulating, and draw the same conclusion that much faster. That reporter would also remember Mr. Kan’s party being pumelled in local elections, chiefly because of extreme dissatisfaction with the national party’s behavior. He would have been an eyewitness to the ad hoc creation starting in March of a political science textbook titled, How Not to Handle a National Disaster. That would have been after he was an eyewitness to the national disaster that was the Kan government’s handling of the Chinese after the Senkakus incident. A reporter in Japan who followed the tone of discussions among the Japanese themselves would know that the word commonly used to describe the behavior of the DPJ since 2009 is “betrayal”— and that’s by the moderates. A reporter who understood something about human nature would realize that the current support for a nuclear phaseout is an emotional response, and will subside over time. That same reporter would recall that Mr. Kan clearly threatened to dissolve the Diet and use nuclear energy as the centerpiece of a single issue campaign — only to drop the idea when his support in the polls continued to fall. Ah, but this isn’t most people or a reporter with an understanding of human nature who wears out the proverbial shoe leather. This is a New York Times reporter. Paying attention or applying common sense to the beats they’re assigned to cover isn’t part of their job, no sir. They have more important things to do, such as ignore facts, promote their employers’ ideological agenda, and contemplate irony. Consider [the pedagogue] in his highest incarnation: the university professor. What is his function? Simply to pass on…a body of so-called knowledge that is fragmentary, unimportant, and, in large part, untrue. Substitute “journalist” for pedagogue and “New York Times reporter” for university professor, and by Jove, I think you’ll have it. My husband’s friend owns a small business near Shenzheng (深圳), China. Many things still astonish him. One industrial park manager was campaigning hard to change the name of a Chinese village into one from the U.S.A.
China has already changed some of the old names of their towns into the names of Japan’s prefectures and towns. Then China patents those new names and exports their products to the U.S.A. and the rest of the world. Who knows how many more names of Japan’s prefectures and towns have been stolen in China? Ampontan addition: The South Koreans have done the same thing, but not with place names. They have a beverage called soju that is similar to the Japanese shochu. Koreans registered the name shochu and sold soju in the United States as shochu. The situation was resolved, but it required the Japanese to spend some money. Why they would have bothered, unless they thought shochu was the superior product? THIS TIME two years ago, then Democratic Party President Hatoyama Yukio went campaign shouting through Okinawa promising that if elected, his party’s government would insist on the removal of the U.S. Marine airbase at Futenma to somewhere outside the prefecture at a minimum, or — better still — outside the country. Mr. Hatoyama and the Democrats were so profligate with their promises during that campaign they tossed them out like so many candies at a child’s birthday party. The DPJ had still not earned the trust of the Japanese public, and many in the electorate lacked confidence in their ability to manage national affairs. The people were so disgusted with the LDP, however, they knew it was time for a change and so voted them out. Demonstrating a combination of immaturity and contempt for the public striking even for the political class, the DPJ government began breaking its promises within days of taking office. Indeed, Ishii Hirohisa, their first Finance Minister, appeared on a Sunday TV political blabathon in October 2009 to blithely declare that broken promises were sweet and dandy and not a problem at all. The party would let the voters decided how much it mattered to them when the next election rolled around. The following day, Mr. Hatoyama delivered his maiden speech to the Diet as prime minister. Two months later, it was apparent that neither Mr. Hatoyama nor the DPJ were ready for prime time and never would be. His administration was one of the shortest in Japanese postwar history, and the largest of the shoals on which it foundered was the craven abandonment of the promise to move Futenma. Prime Minister Hatoyama was kicked out of office, and the governments of Japan and the United States kicked the Futenma can down the road. The issue arose again this past week, sticking its head out of the policy rubble that is the Kan administration as if it were a rattus norvegicus confident in the knowledge that the current human inhabitants of the property were merely temporary squatters. Prime Minister Naoto Kan said Monday that considering moving the U.S. Marine Corps Futenma Air Station outside Okinawa Prefecture might further stall current negotiations over the base relocation, despite a renewed call by the Okinawa prefectural government to move it beyond the southwestern island prefecture. Wherever did they get the idea that it was possible? “…but if we look at ways other than the current plan, (the relocation plan) could return to a state in which (the relocation site) will once again be undecided,” Kan told Okinawa Gov. Hirokazu Nakaima. In other words, we have to go with what we decided, because if we don’t, it will be undecided. The new Japan-U.S. agreement to abandon a 2014 deadline to relocate the functions of the U.S. Marine Corps’ Futenma Air Station in Okinawa Prefecture means there is a strong probability the facility will remain in its current location indefinitely, according to observers. The accord confirmed the bilateral commitment to transfer the Futenma base in Ginowan, Okinawa Prefecture, “at the earliest possible date after 2014.” However, this ambiguous wording would, in effect, allow the military installation to stay there for an indefinite period. The latest accord is tantamount to scrapping an agreement reached between the two nations in 2006, when a coalition of the Liberal Democratic Party and New Komeito was in power, to relocate the Futenma functions by the end of 2014. As with many of their other putative reforms, the Democratic Party has not returned to Square One. They’re at Square Zero Minus Five and still marching backwards. Until someone in Japanese politics grows a pair, Futenma is going to stay right where it is. The dollar’s universal value is like an agreed-upon tax that the democratic world pays for the added security provided by the Americans. Don’t expect a change in the status quo until either the Americans retrench or the Japanese decide it’s finally time to whiteout the juvenile fatuity of Article 9 in the Constitution and establish themselves as an independent state in the community of nations. And don’t expect the latter to happen until the current generation of leaders retires, forsakes the suits and black hair dye, and retreats to their living rooms to quietly indulge their elegant pursuits or their taste for liquor in the daytime. A major realignment of US military forces in east Asia is in disarray after Tokyo and Washington agreed to drop a 2014 deadline for the relocation of a marine corps airbase on the southern Japanese island of Okinawa. The American Army, Navy, Air Force, and Marines have dozens of installations throughout Japan alone — roughly one hundred if you count them all, including supply depots and other facilities. But in McCurry World, moving one Marine airbase in Okinawa constitutes “a major realignment of US military forces in east Asia”. The only differences between the usual McCurry article in the Guardian and any article selected at random from the News of the World are the size of the type, the luridness of the photos, and the educational background (not necessarily intelligence) of the readers. AN e-mail arrived from the proprietor of an English-language website called Japan Watch. It is a news aggregator that, according to the website, focuses on news originating in Japan not generally available in English. In addition to political and business news, the left sidebar has many links to science and technology articles. READER A disagrees with some of my opinions. His full note is here. Here’s part of it, and my answers. The people dealing with the situation are reasonably alarmed and actively concerned. They’re evacuating people as necessary. What practical purpose does it serve for everyone else in the country to worry about events outside of their control? That’s part of what I mean about indulging one’s emotions. None. I disagree with the premise of most of this. The imperative for the authorities to preserve an outward appearance of calmness is important because it fulfills the first requirement of leadership–defining reality. Oh, they’ll ask the questions, regardless of whether they continue to be unreported in English. As for the risks they are facing, the people in immediate danger know about them. As for the media coverage and government reports, adjectives, adverbs, and analogies are not only unnecessary, they’re counterproductive. As for the suggestion that anyone is focused on behaving like “good” Japanese, you’re getting close to running off the rails there. Quick update: If I heard that report on the radio correctly, there have been 150 aftershocks counted so far that have been over 5 on the Richter scale. They’re warning of the possibility of more to come. READER Marellus asks: How is Japan’s leadership handling this? The answer: In the best way possible, by staying out of the way and letting the experts handle it. The order to fill the containment vessel at the Fukushima reactor with sea water was given by the Cabinet minister with that responsibility, but I’m sure he relied on the recommendations of the specialists. In fact, every time someone in the government mentions the Fukushima plant, they reference what they’ve been told by the power company operating the plant. My impression is that the decisions are being made by the power company working with the government’s experts. Those contingency plans, by the way, were probably improved due to complaints after the Kobe earthquake of a slow government response and too much vertical compartmentalization. I watched Kan Naoto give a brief statement yesterday; he managed to get through it without screwing up, though in one or two places he came close. He wasn’t inspirational, but he didn’t have to be. I get the impression that no one here expects that from the political class in this type of situation, regardless of who happens to be leading the government at the time. Edano Yukio, the Chief Cabinet Secretary, and therefore the primary government spokesman, I’ve seen twice, both times talking about Fukushima. He was a bit tense, which is understandable, but otherwise seemed to be in control of himself and not overwhelmed. That it in itself is important. One of the towns on the Iwate coast that has essentially been destroyed has a four-story public hospital. The reports from the hospital are that the tsunami hit the fourth story. It’s not really possible to prepare for something like that. They are purposely trying to maintain an even keel with the Fukushima reactor problem so people don’t flip out. That means they’re not saying anything more than they absolutely have to, or until they’ve confirmed it first. The broadcast media seems to understand, and they’re not getting carried away with themselves either. After it’s all over, it might be revealed that Mr. A. screwed up, or the people responsible for a certain decision mishandled it, but as of now it doesn’t seem as if they’re failing to do something they should be doing. Best of all, none of the politicians are trying to create photo opportunities for themselves. They’ve all started wearing coveralls for public appearances, which is a form of photo op, but that’s standard for all politicians in Japan in a situation such as this (or even the mayor stopping by to thank people during the twice-yearly neighborhood clean-ups). In a sense, it’s a type of uniform signalling that they’re pitching in to do their part too. Quick update: Three people from the plant in Fukushima have been taken to the hospital for radiation exposure. There was also a report that some citizens not associated with the plant have also been taken to the hospital for exposure, but I missed the number. One commentator on a commercial network criticized authorities for not releasing enough information, but also admits that a situation of this type has never occurred before. The explosion itself occurred between the wall of the building and the reactor container, not in the container itself. There have been one heck of a lot of strong aftershocks all day long; another one just occurred in Niigata. That should set the table for two articles that reader Marellus sent in, the conclusions of which couldn’t be more different. The first is by Mike “Mish” Shedlock, who has a website called Mish’s Global Economic Trend Analysis. Mish riffs off of former Chief Cabinet Secretary Sengoku Yoshito’s statement earlier this month that the Japanese economy was “approaching the edge of a cliff”. There’s no mention anywhere of the alternative of either cutting government spending or not exacerbating the existing debt, which neither Democratic Party government in Japan has chosen to do. Indeed, the Hatoyama budget was the highest in Japanese history, and the initial proposals for the Kan budget for FY 2011 are slightly higher. They have added the enormous burden of child allowance payments, to cite one example, and failed to keep the fanciful promises they made for funding them when in opposition. Of course they knew the promises were counterfeit when they made them, but the idea of standing on the edge of the economic cliff didn’t bother them then. Mr. Shedlock is properly scornful of the “government buffoons” and their Keynesian schemes, but overlooks that the current government, in its domestic policies, is just as far to the left as the Obama administration during its first two years in office, and for the same reasons. He also seems to be unaware that in Japan, fingers also point to the Finance Ministry and its enormous power to control policy. (To be fair, few people outside of Japan talk about it.) Higher taxes and a growing government are just dandy with them; it funnels even more power and control in their direction, as we’ve often pointed out here. (T)his brings us to the most important point of all, which is to compare the entire Japanese economy, public and private, to those of the West. As a legacy of decades of large trade and current-account surpluses with the rest of the world, Japan has a cumulative net foreign credit position of some 57% of GDP, whereas the US and UK have net foreign debt positions of around 19% and 22%, respectively, with the euro-area roughly in balance. This is reflected in part in Japan’s large official foreign exchange reserves of just over $1tn, the bulk of which are held in the form of US Treasury securities. (The US and UK have essentially no foreign exchange reserves. The euro-area has some $200bn.) Now, why are these figures so important? Think about it: If you are approaching retirement, do you want to owe other people money, or do you want them to owe you? Japan may be an ageing society but it is an ageing society with a private sector that has saved prudently for retirement! Japan may have a huge government debt but it can service that debt for an extended period by gradually winding down its massive net foreign credit position. One objection that might be raised at this point is that perhaps, notwithstanding a large net foreign credit position, Japan’s private sector has nevertheless not saved enough to fully fund its demographic-driven future liabilities. Fair enough, in fact we would agree that it hasn’t. But please answer this: Who has? We’d much rather be in line to receive a fully-funded Japanese pension–despite the demographics–than a ponzi-style pay-as-you-go and hope-the-stock-market-always-rises western-style one! Alas, the Kan government is now talking about pension reform, and one possible “reform” they’re considering is implementing that same Western Ponzi scheme pension plan. Perhaps that’s what they mean by “putting people first”. He also makes the point that Japan would benefit more than other countries by raising the retirement age, first, because the normal retirement age is 60, and second, Japanese tend to live longer and healtheir lives than people in the West. Both Mr. Shedlock and Mr. Gibson focus on Japan’s infrastructure investments, but neither mentions that one of the DPJ’s campaign slogans in 2009 was to call for a shift “from concrete to people”. That, combined with the DPJ’s unwillingness to privatize anything–they’re backed by public sector unions, after all–would tend to postpone any benefits Mr. Gibson sees by selling off some of the public infrastructure. And, as is usual among Western observers, neither man mentions that the Koizumi and Abe administrations managed to whittle the annual budget deficits from JPY 20 trillion + when Mr. Koizumi took office to JPY seven trillion when Mr. Abe left office. It is almost double that first figure in the current fiscal year under Mr. Hatoyama’s budget. Those looking for any improvement with the current government should keep in mind that Mr. Hatoyama had two Finance Ministers: The first was Fujii Hirohisa, the former head of the Finance Ministry’s Budget Bureau (i.e., the paymaster for Big Government), and Kan Naoto himself. Mr. Kan is now the prime minister and Mr. Fujii has just been brought back into the Cabinet as the Deputy Chief Cabinet Secretary. If the Japanese economy is on the edge of the cliff, it is because the LDP successors to Messrs. Koizumi and Abe reversed course, and the DPJ government decided it would be just tickety-boo to walk right up to the edge and see how far they could lean over. Who has a better grasp of the real situation, Mr. Shedlock or Mr. Gibson? The professors Samuelson, Hayek, and Roberts had the first word in this post, and it’s just as fitting to give them the last. READER TOADOLD sends in a link to a blog post in The Atlantic by Megan McArdle called Japan and the Limits of Keynesianism. While the author’s primary concerns about the problems of the Japanese economy are on the mark, her post demonstrates why there is so little to be learned from people who spend so little time paying attention to Japan as it actually is. Reading more extensively might have suggested to her that the problem is the behavior of Japan’s first serious left-of-center government since the creation of the Liberal Democratic Party in 1955 and the parameters of modern Japanese politics. The DPJ government is dominated by former campus radicals, unionistas of the public and private sector, other undifferentiated leftists, and European-style social democrats who are determined to implement their worldview in the face of the facts and justify everything they’ve believed all their adult lives now that their chance is here at last. Indeed, the primary actors in many ways resemble those of the Obama administration and the Pelosi-Reid Congress in the United States for the past two years. Reducing central government expenditures is not their objective. This is not to say that the LDP did not follow the same model of Big Government/Big Business collusion and the widespread distribution of pork, but as Hayek pointed out many years ago, social conservatives are not loath to cooperate with statists. (T)he Japanese are extremely patriotic about their nation’s financial needs. Ms. McArdle writes this in the context of explaining that the Japanese debt is primarily financed at home. I have no idea what it is supposed to mean. The situation in Japan is particularly depressing because the country has no major ethnic or political rifts. But still the technocrats can’t make any headway. (The Japanese government) is even getting rid of highway tolls. Oh, and it’s cutting the corporate tax rate. As anyone who can read a Japanese newspaper knows, the government just announced a new toll schedule this week, which will include a maximum rate of JPY 2,000 on weekdays. The 2009 campaign promise to eliminate highway tolls was the first one jettisoned by the new government when it came to power–within a month after taking office. Japanese newspaper readers are also aware that (1) the nominal corporate tax rate is being cut a mere five percentage points from an oppressive 40%, (2) many companies pay a lower rate than that already, and (3) the government will try to compensate for the reduction through a de facto increase in the income tax (particularly for those with higher incomes), elimination and/or reduction of deductions, and an increase in the inheritance tax. Oh yes, and an increase in the consumption tax from 5% to at least 10%. One senior party member says they plan to discuss that in the Diet starting in June, to avoid the tax becoming an issue in the sub-national elections in the spring. The problem is, there hasn’t been a good time for retrenchment in 20 years. How quickly people forget the Koizumi Administration, which successfully navigated the perilous straits of a financial sector on the verge of collapse due to non-performing debt, expended an enormous amount of political capital on privatizing the postal savings system (demonstrating that politicians who show real courage will be rewarded by the Japanese electorate), and brought the nation’s finances within sight of a balanced budget as recently as 2007. And which also put the expressway system on the road to a form of privatization. But as we saw with George W Bush, the fiscal rectitude of one administration can be more than wiped out during the course of the next. We’ve also seen that in Japan post-Koizumi/Abe, though Mr. Salmon seems to have missed it. She also quotes blogger Matt Yglesias. For those of you who aren’t familiar with this sparkler, Glenn Reynolds of Instapundit notes that he advocates lying on Twitter, calls people Nazis and writes, “F*ck you.” This is a source who deserves to be quoted? I can’t blame the politicians for trying to restore some semblance of normal growth in the run-up to elections. But at some point, they’re going to have to cut back, whether or not it’s a good time. One can’t blame the Anglosphere commentariat for trying to make sense of Japan, but at some point they’re going to have to get serious about doing research instead of pontificating after observing the zebra through a picket fence. Aera magazine reported that under Japan’s conservative Liberal Democratic Party, which ruled for half a century until last year, Tokyo and Beijing had made “secret promises” to each other over the territorial issue. “Under the secret promises, Japan was in principle to prevent landings (of Chinese nationals) on the islets and not to detain them unless it develops into a case of grave concerns,” the magazine said, citing unnamed government sources. “The Chinese side promised to block (anti-Japanese) protesters’ boats from sailing off to reach the islands,” the weekly added. In an illustrative case, Japan in 2004 immediately deported seven Chinese activists who had landed on one of the rocky islands, Aera said. When power changed in Japan last summer, the earlier promises may not have been mentioned to the new centre-left Democratic Party of Japan government, an unnamed government source was quoted as saying by Aera. One of the nicknames the Japanese media has given Prime Minister Kan Naoto is “Nige-Kan”. The nige means “escape, evasion, flight”. In other words, stepping up and taking responsibility for its actions is not high on the Kan Cabinet agenda. That goes double for this issue, which might have inflicted a fatal wound on both the Cabinet and the party. Note that this story is from an “unnamed government source” (i.e., someone in the DPJ) who says the promises “may not have been mentioned”. It strikes me as a third-rate attempt at CYA for several reasons..
First, one would have to assume that the agreement was known only to a few at LDP party headquarters. Does that mean the secret was communicated through personal contact as in some initiation rite? One would also have to assume that no one else in government circles knew, particularly anyone in the Foreign Ministry. That is implausible on the face of it. The article cites the 2004 incident in which the Koizumi Administration deported seven Chinese bravos after they landed on one of the islets. That was six years ago. No one in the Koizumi administration told anyone in the Foreign Ministry the reason for its handling of the incident? Other sources say this is similar to the secret deals made between the LDP governments and the U.S. to allow American ships to carry nuclear weapons when in Japan. The practice stopped in the 1990s. The new DPJ government turned up the documents for these secret deals after it assumed office. Where did they find them? In file cabinets at the Foreign Ministry. In addition, it has been widely reported in Japan that the Kan Administration intentionally did not follow the Koizumi precedent (though many second-guessers thought they should have) because they believed it was an extra-legal action and therefore improper. They wanted to impress on the Chinese that they were a nation governed by the rule of law. Chief Cabinet Secretary Sengoku Yoshito—seen by many as the real power in government—insisted on it. Again, this report has been all over the Japanese media. Also, Foreign Minister Maehara Seiji was anxious to demonstrate a tougher attitude toward the Chinese and insisted on detaining and arresting the captain. (Mr. Sengoku was apparently ambivalent about the arrest.) Yet again, this report has been all over the Japanese press. Further, the sea captain was not arrested immediately after he was detained. That decision was made in Tokyo several hours later. (About 8-12 hours later, IIRC. In fact, the sequence of events and the timing is another matter of contention. At first, it appeared that Mr. Kan wasn’t even told about the arrest for six hours, but the DPJ is now trying to rearrange the history.) The DPJ did not conduct the due diligence required during that interval, including consultation with the Foreign Ministry? If you believe the Aera account, you would have to assume either the Chinese didn’t do that, or that the Kan government ignored them when it did. Finally, little leaks through a second-tier magazine published by the politically friendly Asahi group is not the DPJ modus operandi. They’re not that subtle–they’d have made a much bigger deal out of it than that, either in a more widely read publication, or bringing it out in the open themselves. Their very legitimacy is at stake. To return for a second to the secret deals over the nuclear weapons, the reason the new DPJ government found the documents is that they already knew about the stories that such deals existed and created a panel to make a specific search. But we’re supposed to believe they didn’t know anything about a deal regarding the Senkakus. Keep in mind, this is the same government that has been saying all along they had nothing to do with the release of the ship captain—it was a decision by Okinawa prosecutors. Also, the Japanese Coast Guard recorded a video of the incident, yet Prime Minister Kan still insists he’s never watched it. And Prime Minister Kan just happened to bump into Chinese Premier Wen Jiabao in a Brussels hallway a couple of weeks ago. Credibility is something else that’s not high on the Kan Cabinet agenda. There are also reports—again, all over the Japanese media—that the DPJ is upset with the Foreign Ministry as a result of frictions that occurred over the issue of moving the Futenma Base in Okinawa during the Hatoyama Administration, and that Mr. Kan and Mr. Sengoku decided to keep the Foreign Ministry out of the loop. The DPJ government wanted to make all the decisions this time without any input from the bureaucrats. Therefore, the Foreign Ministry would have had no chance to tell the Cabinet about any secret deal. If true, that would mean the government was hoist by its own petard. (I)t’s certainly starting to seem like the LDP had been trying to avoid public outcry on some of Japan’s most contentious foreign-policy issues and that after decades of unquestioned rule, didn’t anticipate having to let the opposition in on the secret. Memo to Foreign Policy: Slurping up the froth off English-language journalism about Japan is no substitute for spending some time—a lot of it—with the original sources. Here’s one more thing to consider. The AFP article calls the LDP “conservative” and the DPJ “center-left” (though left-center is more like it). The extent to which the MSM will go to discredit any government or group of the first persuasion and deflect criticism from any government or group of the second persuasion should not be underestimated. It is always a factor in their coverage. READER MAGUS sent in an e-mail about the requirements international companies must comply with to do business in China, and what happens as a result. I thought his e-mail and the links he provided would make a fine post. He gave me permission to run it, so here it is. This article brings to light what every business with real R&D operations and advanced technology has known and been worrying about for nearly a decade when working with China. 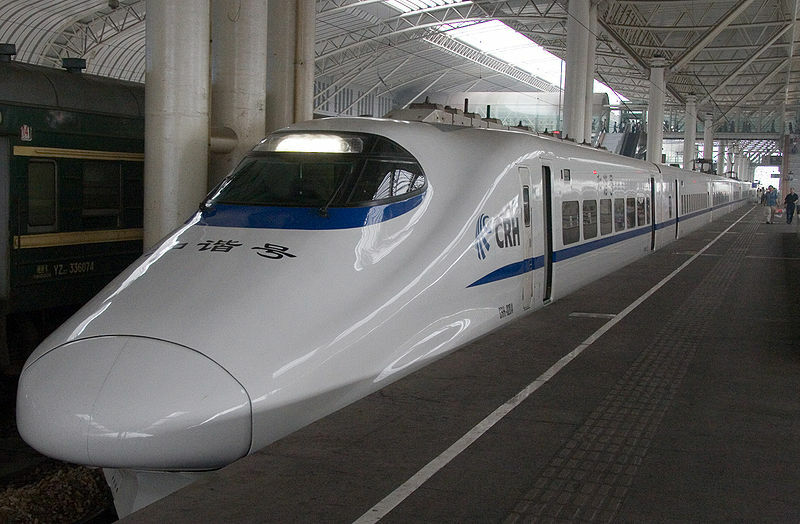 In 2002, China unveiled their own high-speed domestic rail technology “China Star” to compete with the foreign rail companies that were dominating their huge rail industry. It ended in disaster, with the PRC declaring the technology “immature” less than a year later. In 2004, Kawasaki entered the Chinese market with the promise by the PRC of more than $100 billion USD in future rail contracts. The catch is that to do business in China, at least 70% of the parts for any given train must be produced by a domestic Chinese company. That is different from business practices in other countries. Otherwise, Kawasaki could have simply set up a Chinese division, just as Honda or Toyota have US divisions that produce cars locally for their market. The Chinese require production by Chinese domestic companies. This of course meant that if Japan wanted to do business in China, it had to share technology with Chinese companies. The result of the collaboration between China Railways and JR was the China Railways CRH2 (photo: Kimon Berlin). 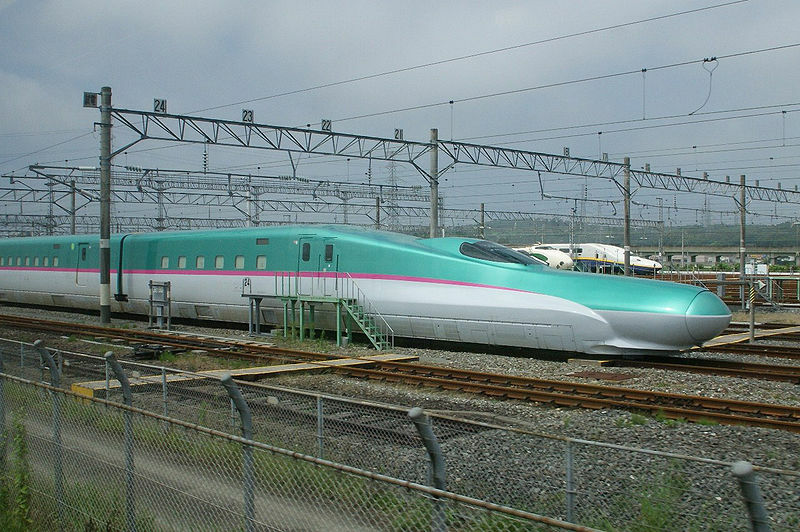 If it looks a lot like the Shinkansen E2 series, that’s because it basically is (photo: Rda). Now here’s where the problems come in. 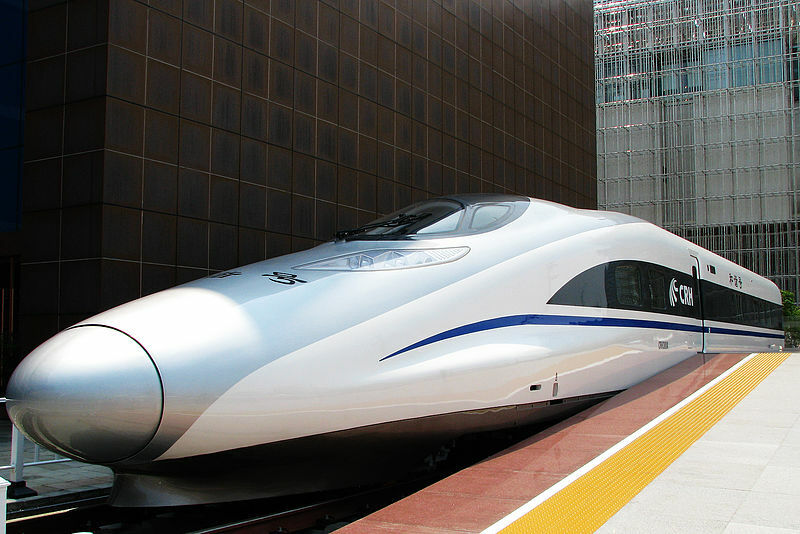 Kawasaki was promised $100 billion in future rail contracts, so they were happy to start up business in China, share technology with their Chinese partners, and work with their Chinese partners to produce that E2 series clone for the Chinese high-speed rail market. 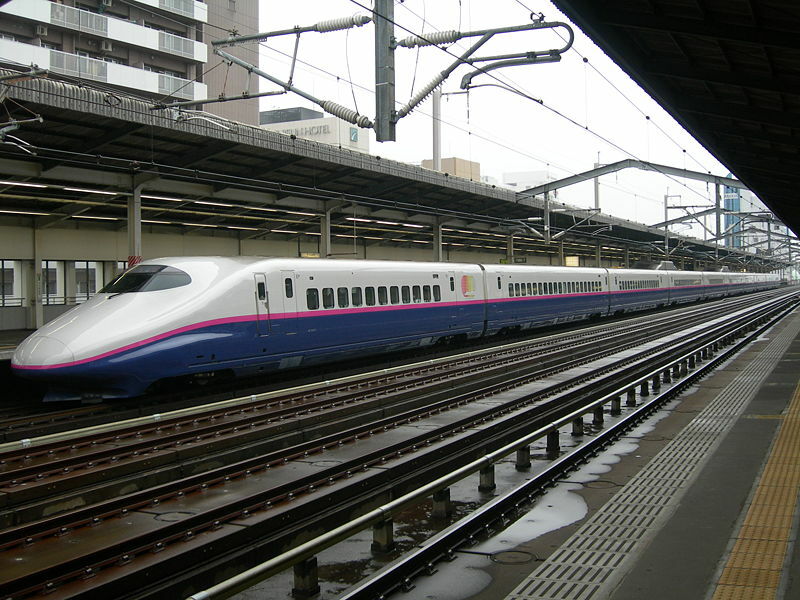 One would assume that as Kawasaki received some of those $100 billion in contracts, they would share more technology and start exporting their more advanced Shinkansen technologies. That isn’t what happened, however. Starting in 2008, China Railways began producing their own CRH2s, without any help from Kawasaki, using their own “Chinese” technology (i.e., technology that Kawasaki gave them and helped them with). Now, Kawasaki finds itself in a position in the Chinese market in which, though they were promised $100 billion in contracts, they have to compete with the China Railways’ 100% domestically produced trains (which are the result of Kawasaki giving them technology so that they could fulfill the 70% domestic company requirement). Obviously, a 100% Chinese train is cheaper than Kawasaki could ever compete with. It also has the advantage of being domestic, thus providing local Chinese jobs and good PR for government contracts. Even if Kawasaki did get contracts for building more trains for China, 70% of its business would have to be subcontracted out to China Railways anyway to fulfill the 70%-produced-by-domestic-companies requirement. Kawasaki entered the Chinese market in 2004 with the promise of hundreds of billions in Chinese rail contracts. In four short years, it single-handedly created its own cheap, Chinese competitor. Of course, everyone who does business in China knows that it runs the risk of such situations, but the speed at which Chinese companies were able to catch up to and displace Kawasaki from the market — four years — is nothing short of staggering. Some observers say that while the 2004 contract meant KHI received only a tiny slice of the Chinese high-speed rail market – which is expected to be worth Rmb700bn ($100bn) this year alone – the licensing deal may have won it goodwill in Beijing that could open other rail-related opportunities. The cost to Japan Inc could prove high, however. China is marketing its high-speed railway expertise, making it a potentially strong competitor on projects from Saudi Arabia to the US. A Japanese executive familiar with the 2004 deal says members of the KHI-led consortium realised the deal could help give China a start in the industry, but they “could not imagine” the catch-up would be so fast. The situation is the same with Bombardier’s Regina and the China Railways CRH1, Siemens Velaro and the CRH3, and the Alstom Pendolino and the CRH5. All these companies (Kawasaki, Bombardier, Seimens, Alstom) entered China, were forced to give their technology to Chinese companies, and now the Chinese companies replaced them domestically. At least they made a quick buck. But it gets worse. Here’s a photo of the Japanese E5 series (photo: D A J Fossett). In other words, Kawasaki dug its own grave in China. It gets worse. China was one of the many countries that Governor Arnold Schwarzenegger visited in his search to find the right bullet train for California’s future. “Today what I have seen is very, very impressive. We hope China is part of the bidding process, along with other countries around the world, so that we can build high speed rail as inexpensively as possible,” he told reporters. Well, it turns out that China is now in the bidding process. In short, Bombardier, Siemens, Alstom, and Kawasaki have not only created their own domestic Chinese competitor, but a cheap international Chinese competitor. With the mandatory 70% domestic production requirement, it seems that creating your own Chinese competitor is a requirement for doing business in China. Despite its claims that all its high-speed technology is now homegrown, the ministry has organised a team of lawyers and officials to investigate how vulnerable state rail companies will be to IP lawsuits when they start selling in the international market. The rail industry is not the only industry affected by these kinds of practices. If you plan to build electric automobiles in China, there is of course a requirement to partner with a Chinese company. The Chinese company is awarded all intellectual property rights as a result of the joint venture, and the Chinese partner must have a stake greater than 50%. The same thing is happening in the green energy sector. And then there was the debacle in the IT industry, in which IT companies would have to provide their source code to the PRC. Fortunately, that one caused enough of an uproar to have been mostly overturned. So it seems that business-as-usual in China means creating your own cheap, international competitor. Kawasaki learned this the hard way. How will Toyota, Honda, and Nissan fare? It’s worth the time to read the articles at all those links. Magus has done the research.